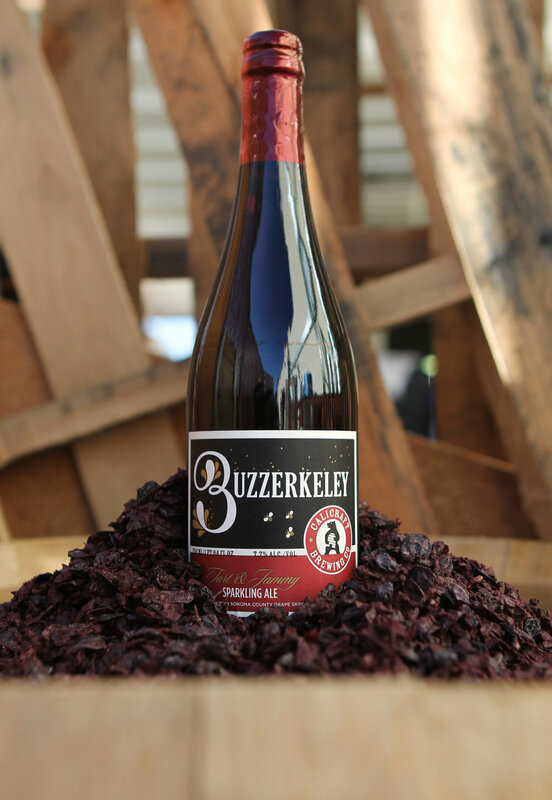 Buzzerkeley blurs the line between beer and wine. In the free spirit of Berkeley, it's a whole new category we call Sparkling Ale. Champagne yeast and California star thistle honey create an ale that's subtly tart and dry with hints of plum and spice. It's our limit-pushing tribute to the cover beer-crafting that began in Blaine's UC Berkeley dorm room and nearly got him kicked out. DRINK UP: at celebrations or just for the heck of it. PAIR WITH: tapas, dessert. intellectual conversation. Like the other beers in the Trees series, this Sparkling Ale focuses on blurring the line between beer and wine. Brewed with oats, raspberries, and zinfandel grapes. Fermented with a red wine yeast strain. Fresh raspberry aroma is balanced by a juicy mouthfeel from the oats. However the finish is extremely dry with a light tannic backbone from the zinfandel grapes. Its the sensibility of beer meets the flavors of wine - fruity yet complex. Grizz is a modern IPA brewed with a massive dose of mosaic cryo hops and oats. Although the beer is clear, the mouthfeel is still juicy from the oats. Clarity of the beer also allows for more carbonation, creating a beer that is juicy but not sludgy, and refreshingly dry. We are always trying to push the boundaries of all the beer we make, and IPAs are no exception. What a long, strange trip it's been. We brewed this hoppy red ale as an ode to the first full year of our taproom. Cascade, Simcoe, and Palisade hops create a delectably dank bitterness with notes of pine and grapefruit. Caramel malt and roasted barley give the beer a balanced body & scarlet hue. 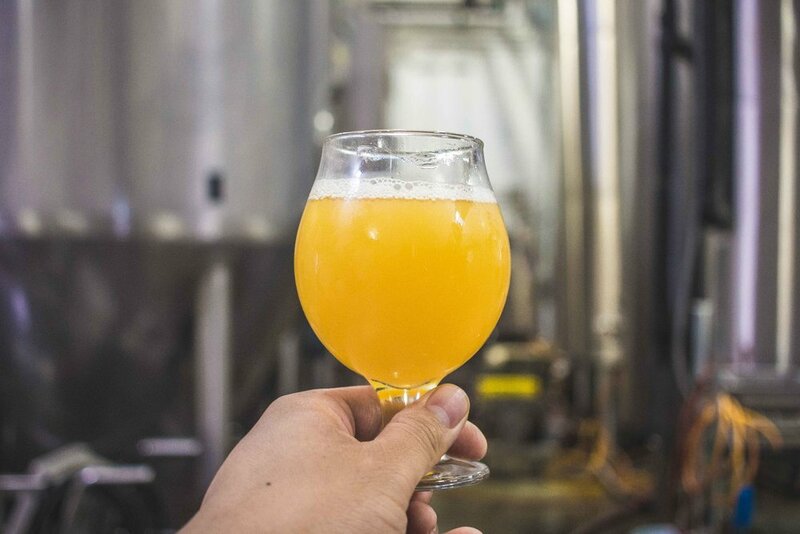 Now and then we make extremely JUICY unfiltered, hazy IPAs. This one is no different. Hopped with Amarillo, Mosaic, & Cascade (Type 45) hops. Notes of pineapple, grapefruit pith, and dank grass & herbs. Return of the Cool! This version features cryo hops - a blend of Simcoe, Mosaic, and Ekuanot. Ground control to Major Tom...Drink your IPA and put your helmet on! This is an out of this world Hazy IPA. Hopped only with Galaxy hops this beer is intergalactically juicy. Sticky mango, bright passionfruit, and fresh pineapple flavors. Finishes dry with a bit of pine resin. Crisp, light, and refreshing. A touch of modern with citrusy hops - not quite a pilsner, and not as crazy as dry hopped lagers. A lot of old school with a bit of new school. A simple malt bill meets copious amounts of tropical and dank hops. Aromas of mango, sweet pineapple, and fresh pine. The flavor is all pineapple juice and white grapefruit zest with a dry finish. Juicy, but balanced - merging different schools of IPAs. We use 100% Mosaic hops in this IPA. Malt bill consists of 2-Row, Wheat and Oats. Fermented with our house IPA yeast. Whirlpool and Dry hop additions of Mosaic. Aromas of mango, blueberry, and blossoms are balanced with a touch of resin on the palate and a light bitterness. Mosaic Monster is a friendly monster - intensely hoppy and aromatic, but thirst quenching and crushable! A bigger, bolder version of our Oaktown brown ale. Hopped with a healthy dose of Cascade hops. Double oaked with notes of roast, vanilla and oak tannins. This version is on nitro making it extra decadent. A refreshing pilsner brewed with a 2-row barley and hopped with a healthy amount of Czech Saaz hops. Drinks clean with notes of biscuit and a snappy finish. Modern meets classic in this unfiltered IPA. A simple malt bill of 100% 2-Row allows the hops to shine - a blend of old school Centennial and new school Mosaic and Eureka. Flavors of peach, bright citrus, and melon are balanced by a touch of resin on the finish. This IPA is modern meets classic - its There & Back. 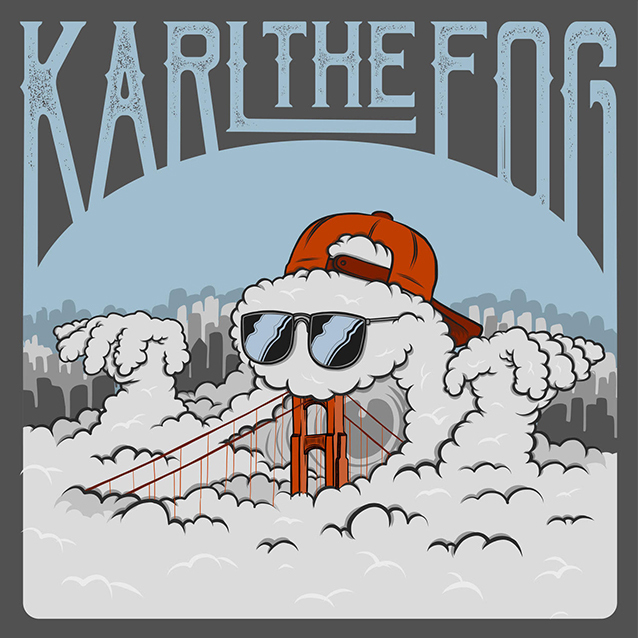 Karl the Fog - now 100% more hoppy. Named after the fog that calls San Francisco his home. Originally brewed to celebrate SF Beer Week and rebrewed for our taproom anniversary. Tropical, Juicy, and definitiely foggy - drink to celebrate our neighborhood friendly fog! 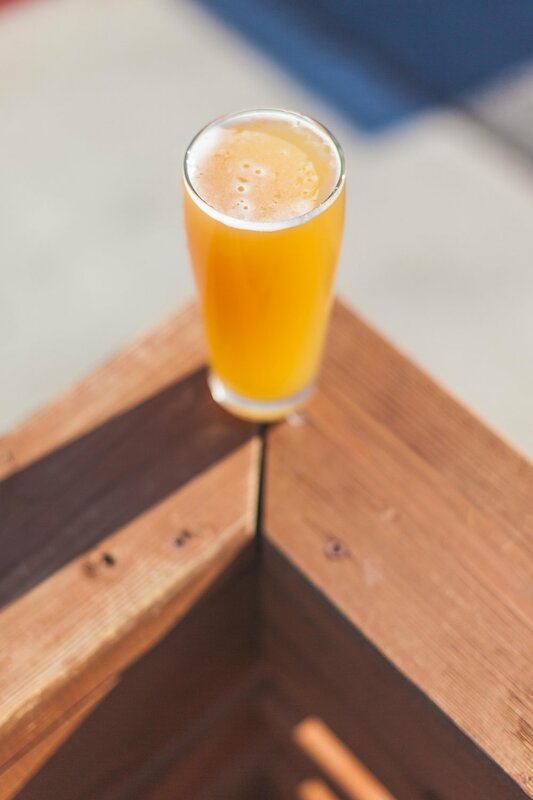 Part hazy beer - part sparkling ale - part wheat This beer is guava juice in a glass. We started with a malt bill full of wheat and oats for a juicy texture. Then we fermented the beer with a wine yeast for floral aromatics and a slight tart finish. Finally we add 450 lbs of guavas and 150 lbs of pinot gris juice. Guava Trees starts with ripe guavas and a juicy mouthfeel. However the beer finishes with a dry white wine acidity. Dry, fruity, and complex - we couldn't be more excited for Guava Trees! 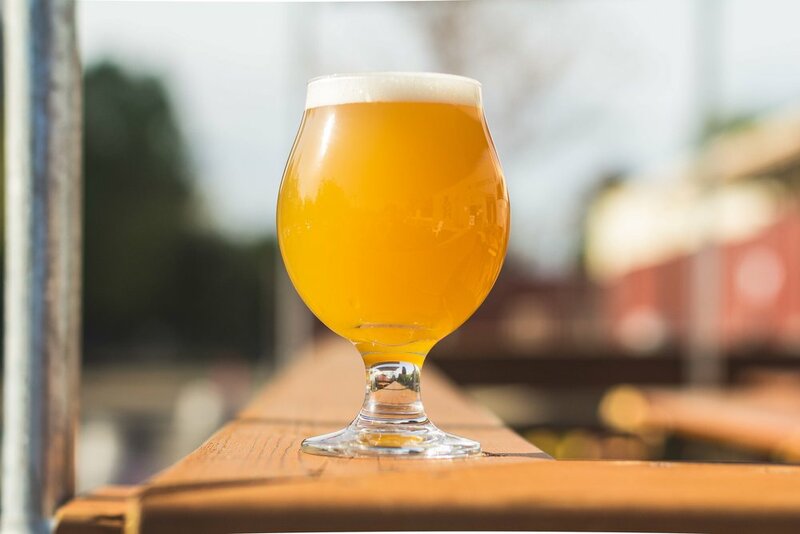 Hops meet fruit in this hazy IPA! We start with a malt bill filled with oats and wheat for a creamy texture. Fermentation is with our house IPA yeast, which produces notes of stone fruits. Finally we add a tropical hop blend and 450 lbs of apricot puree. Aromas of apricot nectar are accompanied by a juicy mouthfeel and tropical hop punch. Juicy galaxy and mosaic with a malt bill of oats. Mashed at a slightly higher temperature to leave a touch of residual sugar to emphasize the juiciness. Mo' Haze...Mo' Problems. Need we say more? This version is 100% Citra for orangey, grapefruity hoppiness. 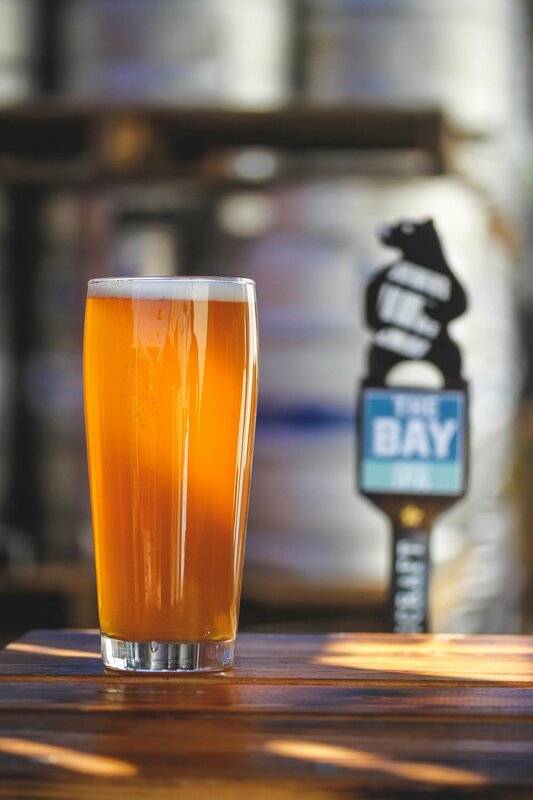 Our staple double IPA, the Bay, but with a massive dose of Mosaic hops. Completely unfiltered, this beer is hoppy but surprisingly drinkable! From Blaine's homebrew days. Celebrating his hometown of Willows, CA and its rice growing traditions. Brewed in the style of a Mexican/Vienna lager: toasty malt with a balanced amount of noble hop spice and zest. Crushable. Part of our Reserve line: neither beer nor wine this Sparkling Ale pushes the boundaries. This version features California sauvignon blanc grapes added to the fermentor. White peaches emphasize the stone fruit notes in the varietal. Like walking between a vineyard and orchard, this Sparkling Ale explodes with fruit. Juice, juice and more juice. Mostly American hops for a dank, citrus bomb. Wheat and oats add a pillowy body while our House IPA 3 yeast adds stone fruit nuances. Originally brewed for the centennial anniversary of our home City. This is a classic dry pale ale with a touch of oats for body. Flavors of lemon, white grapefruit pith, and floral notes. We are debuting the 2017 version in April, this will be even hoppier than the last batch! 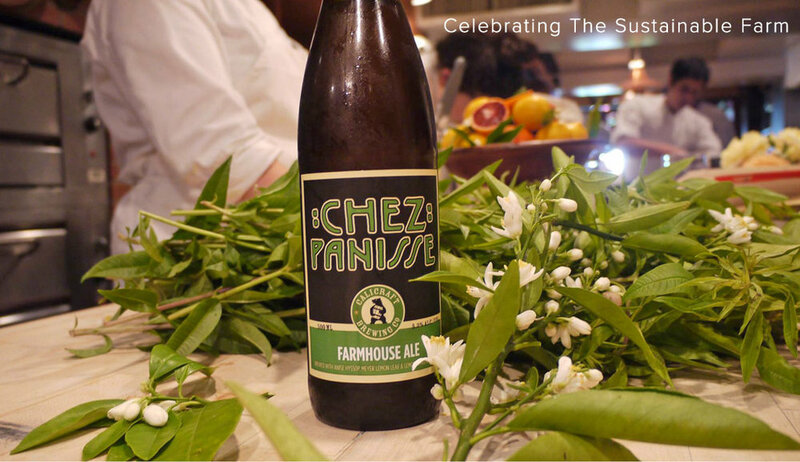 A collaboration with Chez Panisse Cafe for its anniversary. Farmhouse Ale celebrates the sustainable farm. 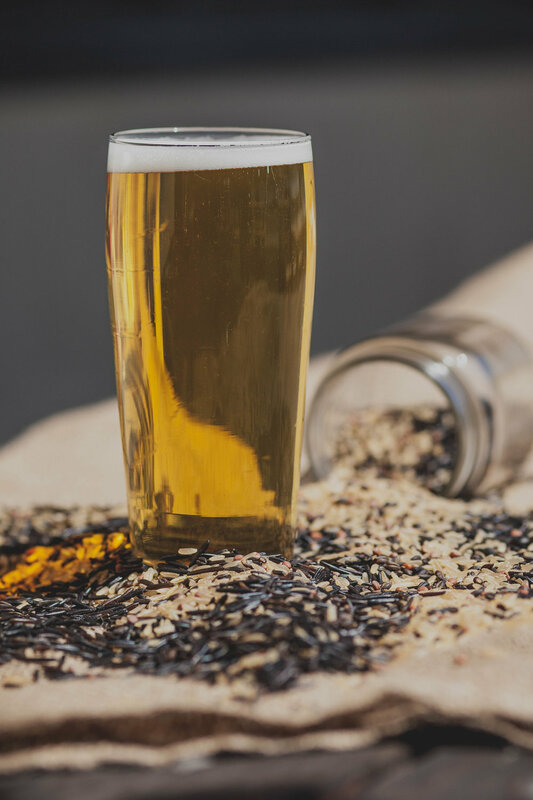 Infused with organic herbs from Cannard Farm, this delicate, saison ale explodes with spring flavors. A peppery, citrus finish lingers in invitation to slow down. Supports sustainable farming education. DRINK UP: to start a meal, after working in the yard. PAIR WITH: field greens, goat cheese, a porch swing. Karl the Fog... took a vacation. All the haziness of the original but now with 50% more hops. Galaxy and Mosaic give this hazy IPA tons of passionfruit, mango, and stone fruits. At 20 IBUs and with a malt bill comprised of oats and wheat, Tropical Karl drinks smooth and fruity. The Deep East is our name for the cities east of the tunnel. This beer is complex, yet approachable. Roasted barley brings dark, chocolate notes while oats add a creamy mouthfeel. A snappy hop bitterness drys out the finish. Our base stout, look out for special blends in the coming weeks! Calicraft Reserve is a new type of beverage. Neither beer nor wine, this Sparkling Ale pushes the boundaries. California Chenin Blanc and Viognier white wine grapes bring wine-like flavors and acidity while California grown malt adds a subtle nuttiness similar to champagne. Aromas of nectarine, pear, and quince are backed by bright lemon. Break the rules. Calicraft Reserve is beer meets wine. Calicraft Reserve Rose is a new type of beverage. Neither beer nor wine, this Sparkling Ale pushes the boundaries. California Zinfandel must, cherries, and raspberries bring wine-like flavors and a complex fruit profile. Aromas of red berries are backed by a grape and oak tannins. Break the rules. Calicraft Reserve is beer meets wine. Karl the Fog - now 100% more hoppy. Named after the fog that calls San Francisco his home. Brewed to celebrate SF Beer Week. Tropical, Juicy, and definitiely foggy - drink to celebrate our neighborhood friendly fog! Cool Kidz is the first in our line of experimental IPAs. This beer focuses on using the coolest, most sought after hops. 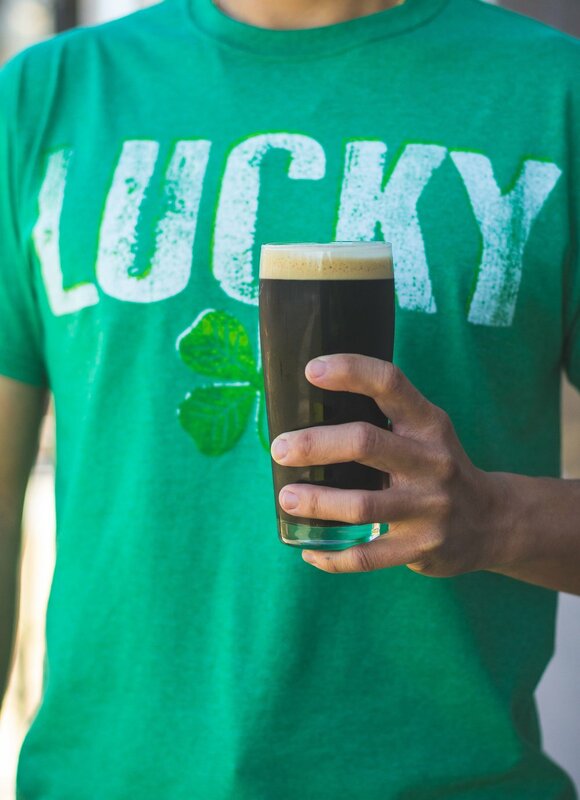 Every batch is different - and no recipe is brewed twice. Bittered like a pale, this beer is brewed to be juicy but dry. THE JUICE IS LOOSE! Fermented with our House IPA #2 yeast and generously dry hopped this IPA is tropical, juicy, and full of fresh squeezed deliciousness. Soft, pillowy mouthfeel, but balanced by a hint of bitterness similar to grapefruit juice. 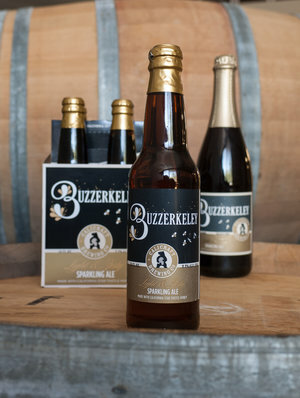 Buzzerkeley Red Label is the sociability of beer and the sophistication of wine. Fresh-pressed Napa and Sonoma red wine pomace give depth to the effervescence of Sparkling Ale (a.k.a. beer fermented with wine yeast). Boysenberry, dark cocoa, and rye spice shine through layered tannin structure. 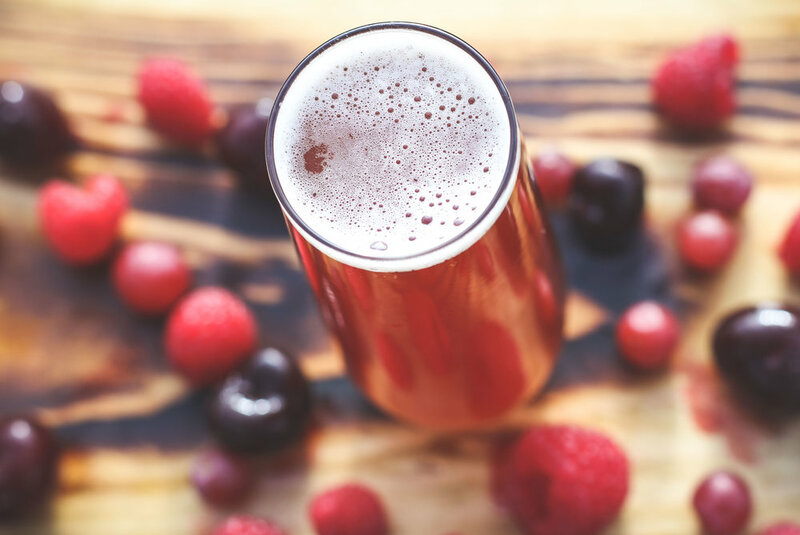 Fruit-forward and dry, this ale blurs the line between beer and wine. Dedicated to the hop-picking hell-raisers of California history. This is a revolutionary wet hop IPA. 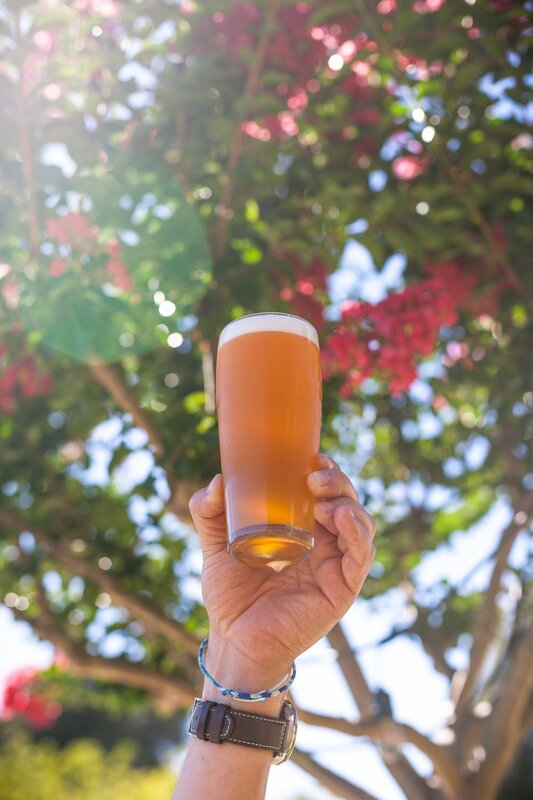 We're getting back to our roots with the original California Cluster hops that ruled 19th century beer. Sun-drenched, just-picked hops go straight from field to kettle, for an ale that drips with flavors of pine, citrus, rose, and plum. Light your torch, grab your pitchforks. The Wobblies are coming.